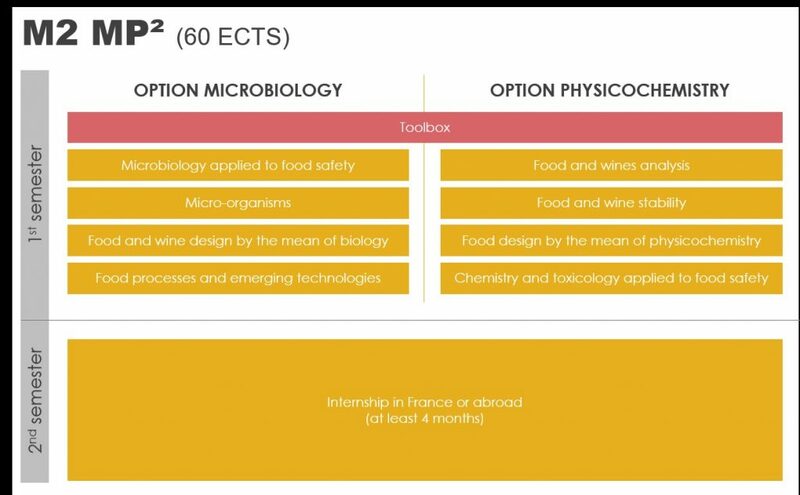 Microbiology and Physicochemistry for food and wine Processes. 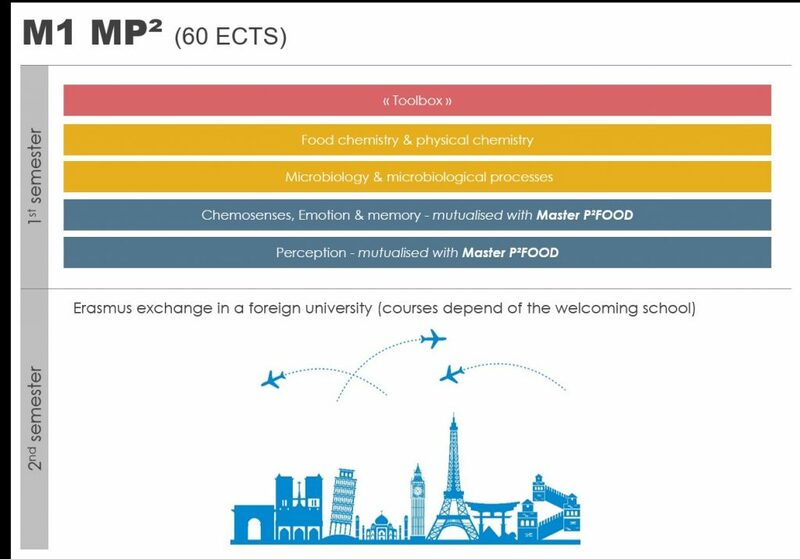 MP2 is a 2 year, course-based, full-time international research Master’s Degree focused on Microbiology and physico-chemistry applied to food and wine processes. This master aims at training future researchers and managers of the food and wine science and industry. You will have a strong international mobility. One semester will be out of France in the first year and another one is possible during the second year. The modules below are indicative of those offered in this program. This list is based on the current organization and may change year to year in response to new needs in the food industry. A recent reform has been implemented in France’s higher education system : starting from 2019, international students who are not citizen of a country inside European economic area or Switzerland who register for the first time in a French higher education course will have to pay specific fees (equivalent to one third of the real cost of the formation). These amounts equal 3 770€ for a Master or PhD. Fellowship grants (up to 800 € per month, during up to 10 months) are awarded each year to high quality foreign students, by the University of Bourgogne-Franche-Comté (25 grants in 2018). They can also have access to a wide range of funding programs (Grants from French embassies, AUF bursaries, etc. ).